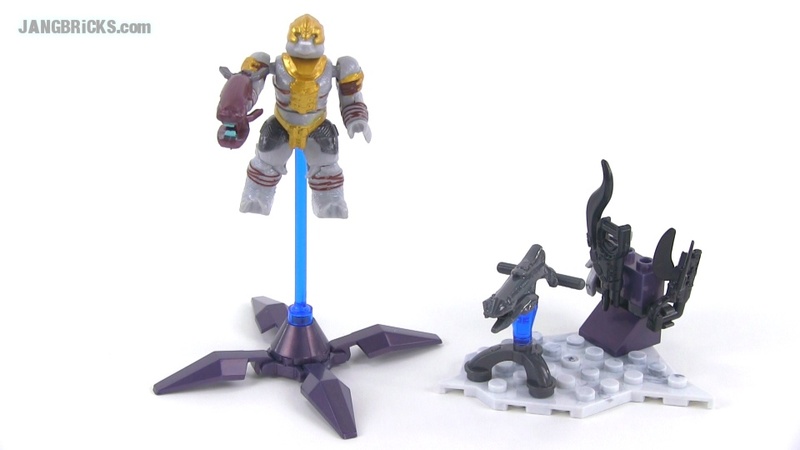 Mega Bloks Halo 97359 Covenant Weapons Pack II review! This is a little different. The figure is new for 2014, a Brute Minor, and he comes with nice accessories including two different nicely-painted versions of existing weapons. Video: Mega Bloks Halo 97359 Covenant Weapons Pack II review! "Dominate your target and claim victory with the Covenant Weapons Pack by Mega Bloks Halo! The Brute Minor is prepped and ready for battle with a Plasma Rifle, Brute Shot, Spiker, Mauler and Plasma Canon. Weapons: Plasma Rifle, Brute Shot, Spiker, Mauler, Plasma Canon"